Cyber city Gurgaon makes romance in every bite a reality! 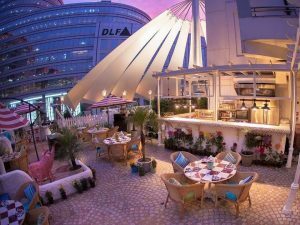 Whatever be your style, you are sure to find a suitable option for the perfect date night with your loved one from our curated list of the top 10 romantic restaurants for couples in Gurgaon. In the heart of Gurgaon’s industrial area, Olive Bistro is an oasis. 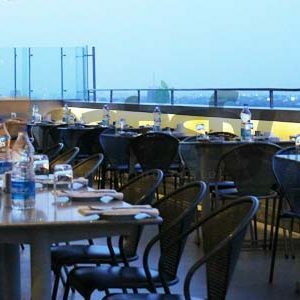 Its poetic European décor combined with the calm and peace this restaurant offers, in spite of being in the ever buzzing Cyber City, is unbeatable. A perfect date place after work, the intimacy of the décor, service and Mediterranean vibe combined with scrumptious food make this restaurant a perfect pick for a proposal night or a special celebration with your partner. Do try their Litchi Tornado to relax the butterflies in your stomach and indulge in their Fettuccini Primavera and freshly baked pizzas as you dive in long romantic conversations. If a candle lit dinner at a finely furnished restaurant is your idea of romance, then Thai Pavilion at the Vivanta by Taj is the perfect choice for you. 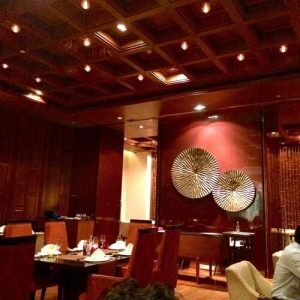 Its classy wooden furnishing combined with the authentic Thai flavours of its food reflects fine taste, something that is sure to impress your better half. You can opt to have a personal chef to handcraft a meal for you two if you’d like to make this date one to remember. Bring out the tuxe and the LBD for this one! If you’ve studied, lived or holidayed in California, you are going to love this place. And if you haven’t been to California, it’s a lovely way to enjoy a fusion like this! 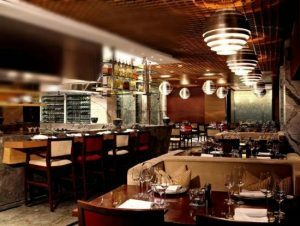 Prego housed in The Westin Hotel in Gurgaon serves Italian food, California style with an extensive wine list that will make your mind boggle with the choice. 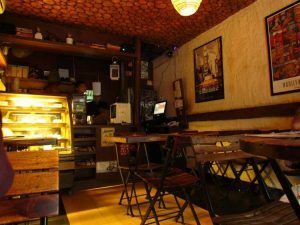 They also serve Chinese, Thai and Japanese, so if you aren’t the Italian types, you’ll still have enough choice, and the upbeat and chic décor of this restaurant is something we assure you both will love. Perfect for both the young and the young at heart, Preggo is definitely a place to visit if you live in and around Gurgaon! 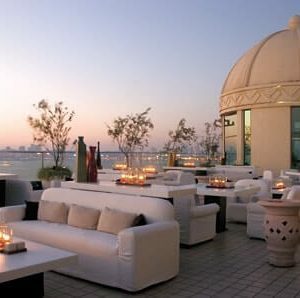 And if the weather permits, go for their alfresco seating. With a scrumptious Ravioli or Spaghetti for company, you both are sure to spend hours here. Don’t forget to end the meal with their delicious Nutella torte. All that ends with Nutella, ends well! 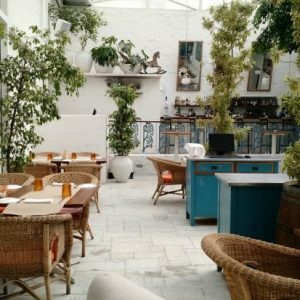 A little away from Gurgaon, near the Qutub Minar lies this gorgeous restaurant with live music, gorgeous outdoors, delicious food and beautifully crafted cocktails and mocktails. 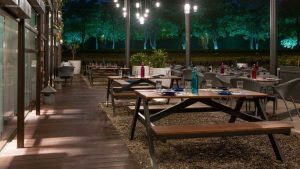 A perfect pick for a romantic date night, Qla’s contemporary interiors combined with the old world charm of the place make for a beautiful ambience, and their wood fired pizzas and perfectly cooked lamp chops are worth a try. They have a bubblegum cocktail which seems to be a favourite but hey, you’re on a date, a champagne from their extensive list of wines is what you should be ordering! Get ready to have a night to remember! 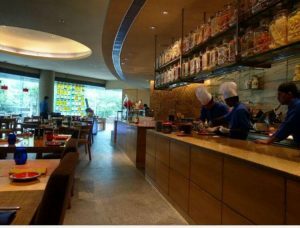 If you don’t want to worry about her Pumpkin time, shift the date to lunch or opt for a sundowner, for Kiyan at Oberoi is a perfect day place. 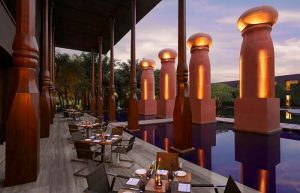 With stunning giant pillars and pools surrounding your tables, their menu of European, North India and Thai is sure to satiate your taste buds. The desi girl is sure to love their Dal Devarana and Hyderabadi Patthar Kebab, though their Thai isn’t going to disappoint either. And yes, she is going to love clicking selfies with you here. Start practising your pout! If you are looking for a place with outstanding food and impeccable hospitality then Zanotta serving authentic Italian gourmet food is probably for you. An open kitchen adds the buzz to the formal setting enveloped in crystal clear glass offering breath-taking views of the city. 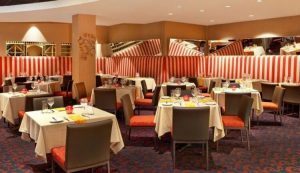 Whether you choose to have their Porcini Raviolo, Lobster Totellini or mouth-watering Lasagna, you’re sure to bring out your Italian charm to impress the lady love of your life. Dress in a breezy linen shirt and cotton pants or a formal blue blazer. 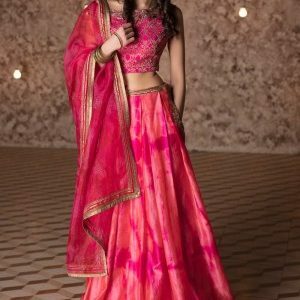 Her evening gown or little pink dress is going to need a good companion. 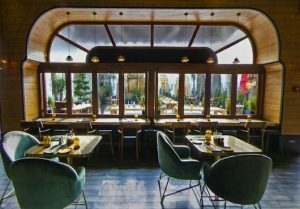 A combination of clever architecture with high glass windows and mouth-watering food and drinks accompanied by foot tapping music, Impromptu is an elegant choice for a date. Serving Mexican, Lebanese, European and Asian delicacies, Crispy Prawns-Dry Red Chilli, & Jamaican Chicken Brochettes are must haves at Impromptu. Much easier on your pocket than some of the above options, this one has a Neo country villa charm and an airy outdoor setting that is sure to have you make happy memories with no compromises made. If you want to make your better half feel like an English Princess, the vintage ambience of Di Ghent is going to sweep her off the floor. The floral couches, the French windows, the brick lined wall and the metal chandeliers are all oh so pretty! You can go here for breakfast and enjoy their beer poached eggs with spinach and sun-dried on toasted muffin, or walk in the evenings, start the date with a flavourful salmon salad, followed by a garlic chicken panini and end it on a sweet note with a double baked cheesecake. Good food and great ambience, such dates are sure to add a punch to your life! Ditch the 5 star hotels and head to Sakleys for a mountain cafe experience right in the heart of the city. With a beautiful view, classic wooden décor, a traditional veneer fireplace and your partner for company, this is a little getaway you’re going to love! To add to the fun, you can indulge in comfort food like paneer sandwiches, banoffee pie and hot chocolate. Don’t think twice before planning this! 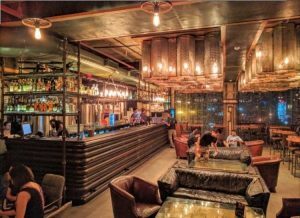 Molecule Air bar is this lovely brewery in Gurgaon with a gorgeous rooftop where you can romance delicious beers and lovely finger food, and exchange sweet nothings with your pretty wife or girlfriend! A perfect pick if you are chilled out couple, don’t want to get dressed too fancy yet want to have a good time. The well-presented tasteful food doesn’t make you miss the fine dines either! It’s the best of all worlds in one! Now that you have so much choice, don’t wait for an occasion. Make a booking and head to these restaurants soon, real soon! Funny Secret Santa Gifting Ideas for Your Coworkers This Christmas Season! Thanks for the guidelines you have provided here. Something important I would like to express is that pc memory requirements generally increase along with other innovations in the technological know-how. For instance, whenever new generations of processors are introduced to the market, there’s usually a matching increase in the size calls for of all computer system memory in addition to hard drive room. This is because software program operated by simply these processors will inevitably rise in power to use the new technology.